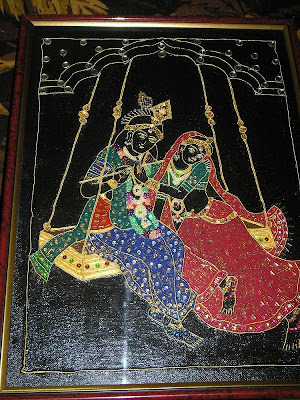 This is called Meenakari work which is famous in Gujarat. 8) design of your choice. 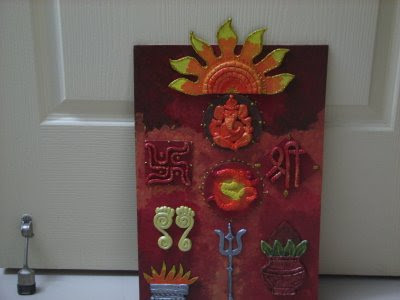 At first, stick the design to the MDF board or you can draw the design in case of using canvas board. 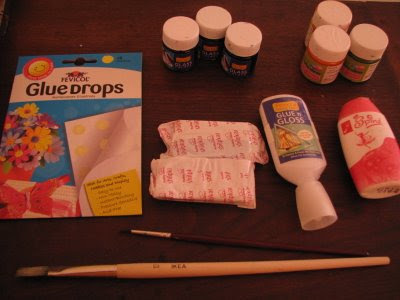 Then, Mix Glue n gloss,water and Silver dust resp. in proportions of 1:1/2:1/4 spoons. Apply the mixture to board, but the coat we apply should not be too thick so that when it dries up the design should be visible. After the mixture dries up, outline the design with silver outliner. Now, you can add the colour of your choice, but the colour should be symmetrical on all sides. 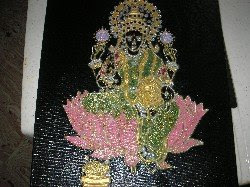 Now, the Meenakari work is ready . 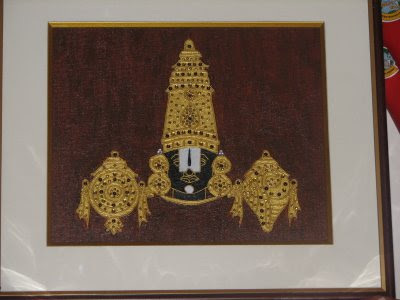 These are some of my works on zardosi paintings. 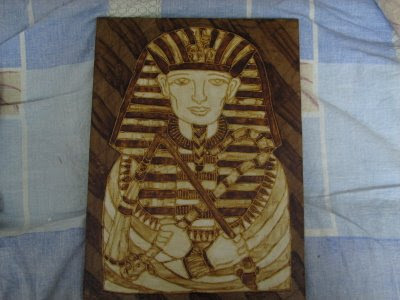 This is a Coffee painting, popularly known as Egyptian Coffee painting. 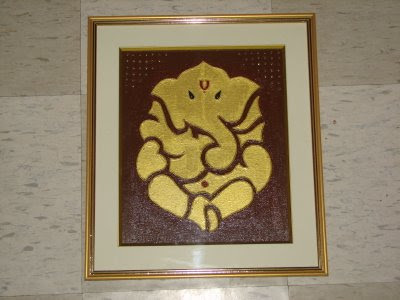 The board used is MDF and the picture is pasted on the same and outlined with gold 3d outliner. 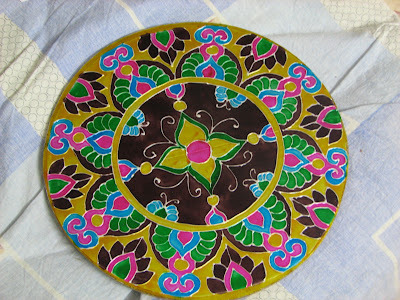 The paint is a mixture of instant coffee powder, fevicryl glue n gloss and water. 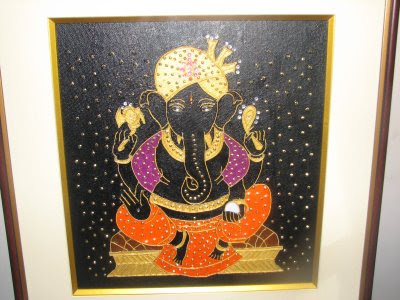 This frame work is done on Canvas board and the effect created is by using fevicryl crackle medium. 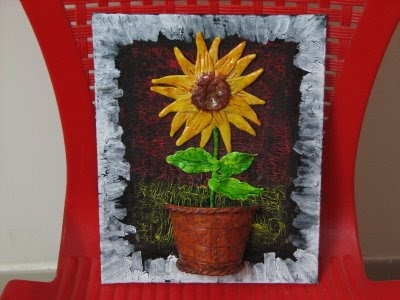 The paints are acrylic colours and the flowers are done with fevicryl shilpakar and the basket is done by cutting the paper cup into half. 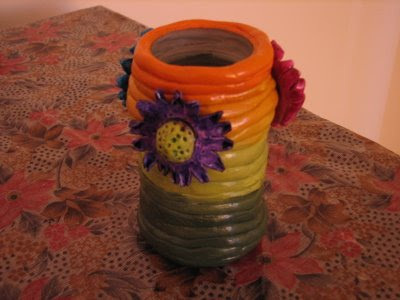 The paint used in flowers are solvent based glass colours.